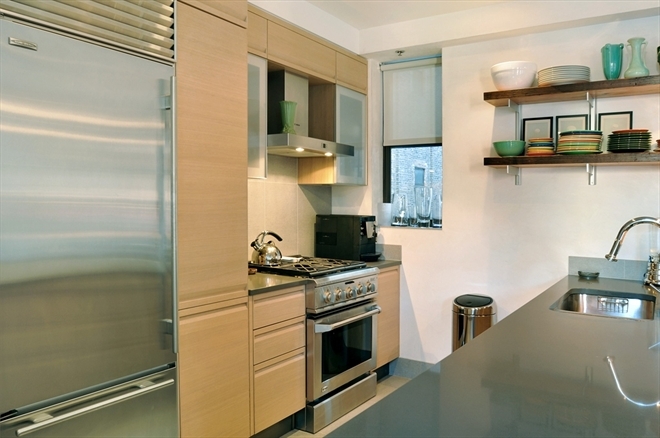 Rare East Village boutique condo loft. Recently converted with the utmost attention to detail and tasteful finishes. Private key lock full floor two bedroom two bath. Enter off the elevator into a separate foyer with full guest bath. Foyer unfolds onto a wonderfully open and comfortable living space with large cook’s kitchen. Living room features a suspended wood burning fireplace, exposed bricks, Venetian plaster museum finished walls, original pine floors refurbished and stained walnut plus lots of wonderful light from 12 large windows.. A smartly designed open kitchen includes a GE professional cook’s dream stove, Stainless Sub Zero Fridge, GE Monogram dish washer, custom ash cabinetry cesar stone countertops and custom reclaimed wood beam open shelving .A separate laundry area off of the kitchen has stacked Bosch washer dryer units. 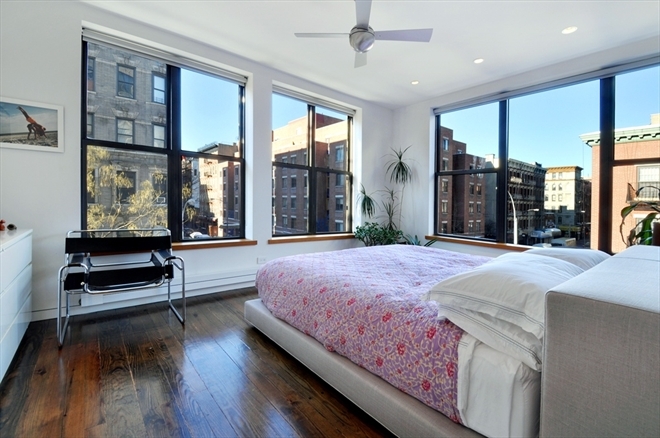 Master bedroom is flooded with light from floor to ceiling corner windows. Study area in master suite has beautiful built ins made of wood beam shelving. 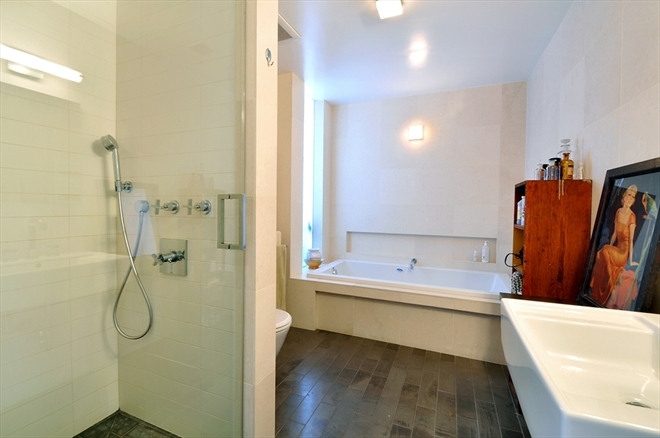 The en suite bath boasts a Zuma dual air jacuzzi soaking tub as well as a rain head shower stall and ceramic and limestone tile. There is abundant closet space throughout the apartment, central air and a state of the art heating system. Located two blocks away from subway and in the heart shopping, wonderful restaurants and nightlife of the vibrant East Village and Lower East side.